Parking: Free in the parking lot nearby. Age Range: All ages. 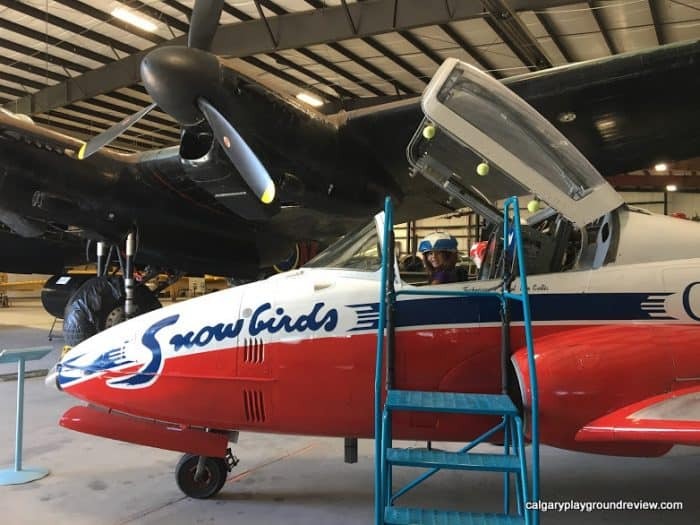 Although it is not aimed at young kids, toddlers and preschoolers with a fondness for vehicles and airplanes will be able to be entertained for a short visit. Stay Length: 45 – 90 minutes. If you had a spirited child you could squeeze the highlights into 30 minutes. 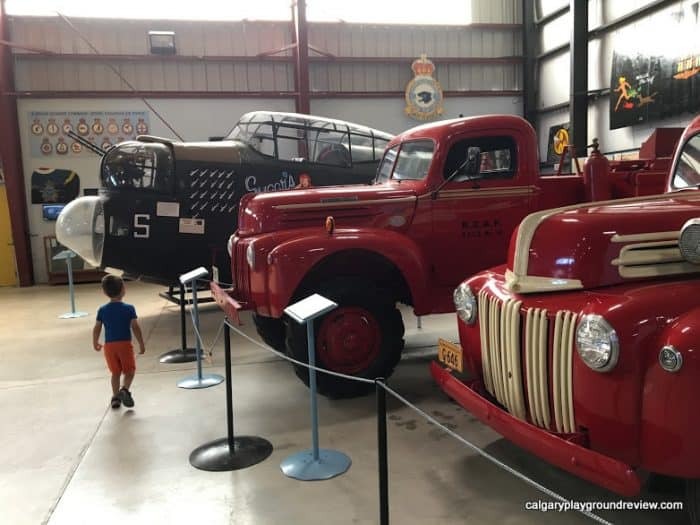 The first time we went to this museum, my oldest was just two. 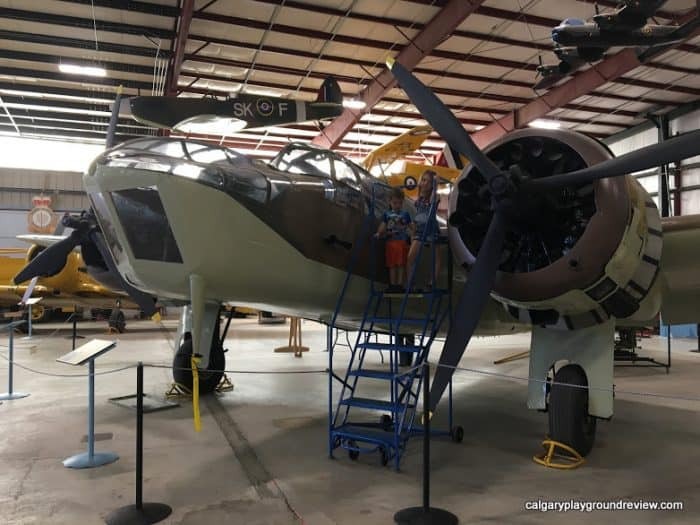 Now he is 9 and really really into airplanes so we thought it was time to go back. I had forgotten just how good this museum is. It was no surprise that he loved it, but his sister (6) and his little brother (3) loved it too. 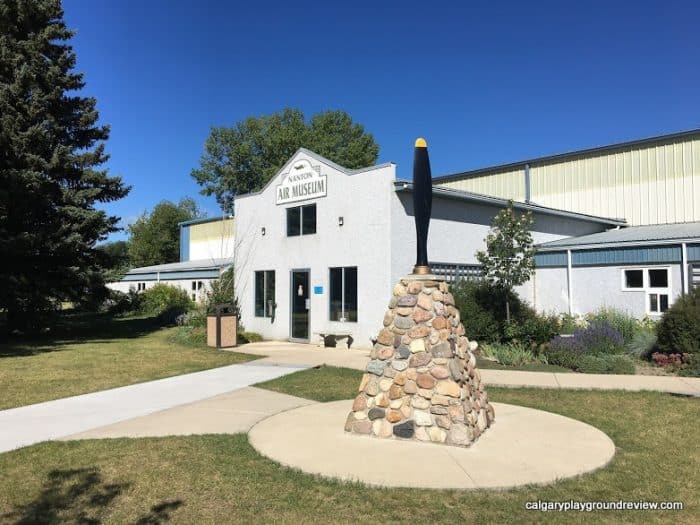 At the front of the museum there is a gift shop (great for airplane fans!) and some interpretive displays and artifacts. You may want to download a QR code reader – they have some videos linked so you can really see what you are reading about. We spent about 10 minutes in this area. 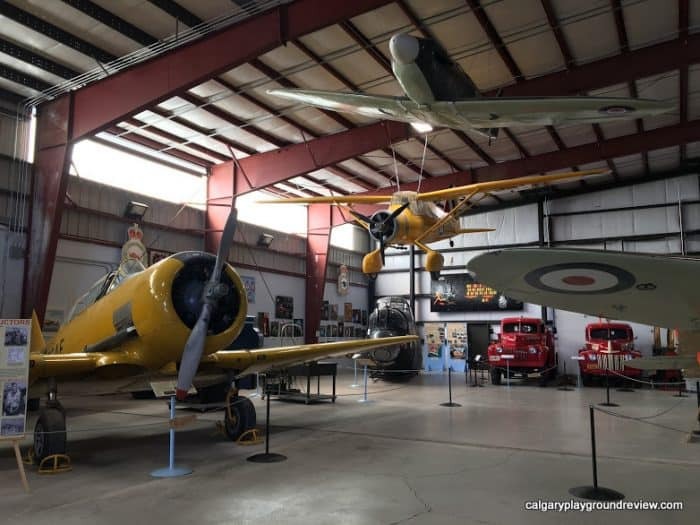 The majority of the museum is found inside the hangar. 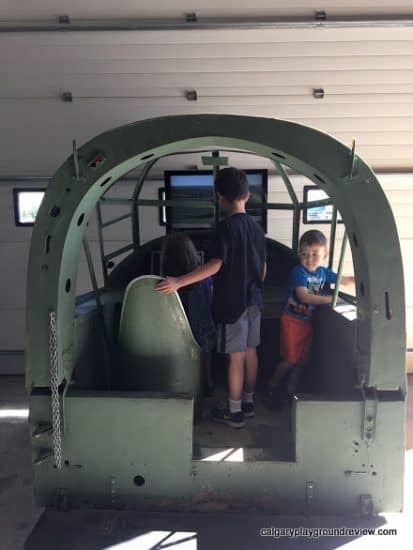 The hanger area has lots of real world things to look at which really helped hold the kids’ attention, You almost feel like you’re in a real vintage hanger with all the vehicles, propellers and airplanes instead of museum. 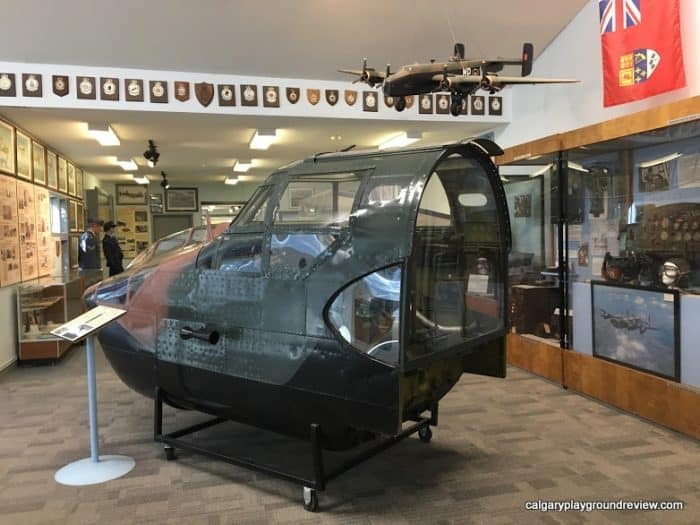 They have an airplane cockpit that you can sit in and experience what it would be like to fly a 1940s Canadian trainer. This will be a hit with older kids as it’s essentially a computer game (Microsoft’s Flight Simulator). 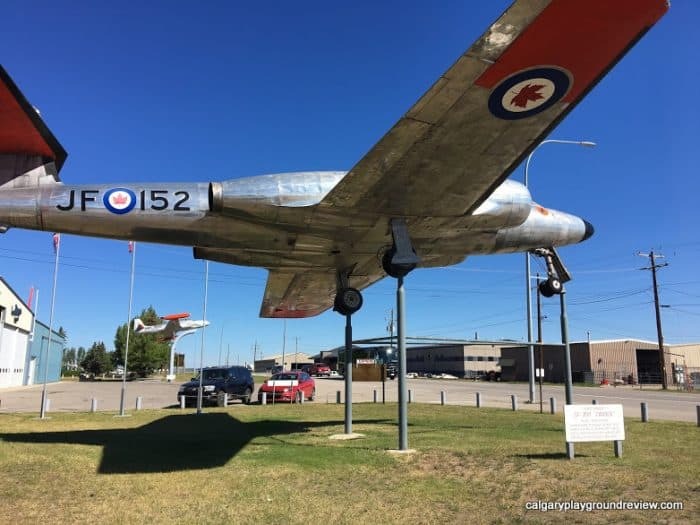 One of the things my kids really loved was the Canadian Forces Snowbird. It was set up as a photo op and you can go right inside! They even had a helmet you could put on to complete the picture. 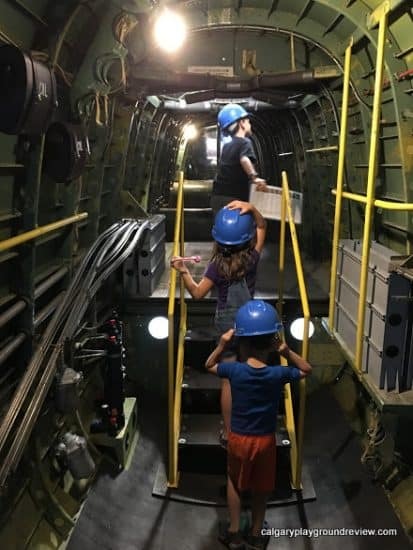 There was another plane that you could climb up a set of stairs and look in inside. 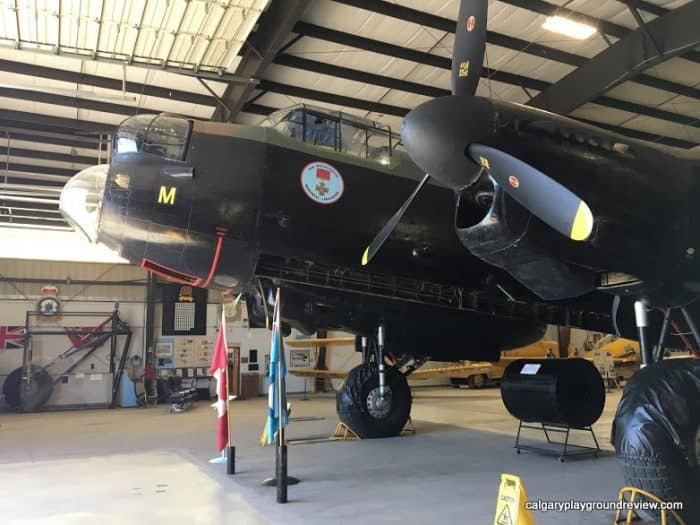 The highlight of the museum is the restored Lancaster Bomber. You can even walk around inside it. 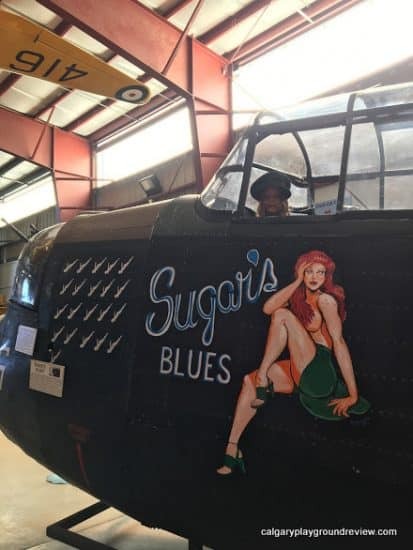 I was surprised how big it was especially compared to the other period airplanes. You need to ask at the front to go inside and it costs $2 per person or $5 per family to do a self guided tour. Totally worth it in my opinion. You have to wear a helmet in case you bonk your head. While inside, you can peek up into the gun turret on the top as well as out a maintenance hatch. 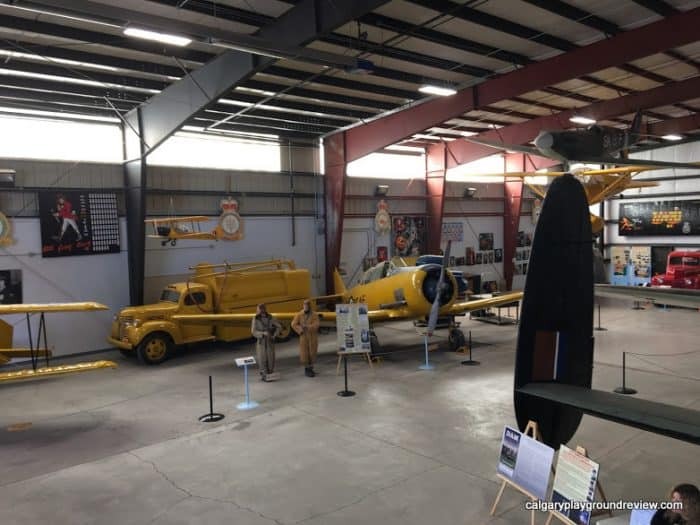 There is also a room on the far side of the museum that is filled with airplane engines. It’s easy to miss when you are walking by. 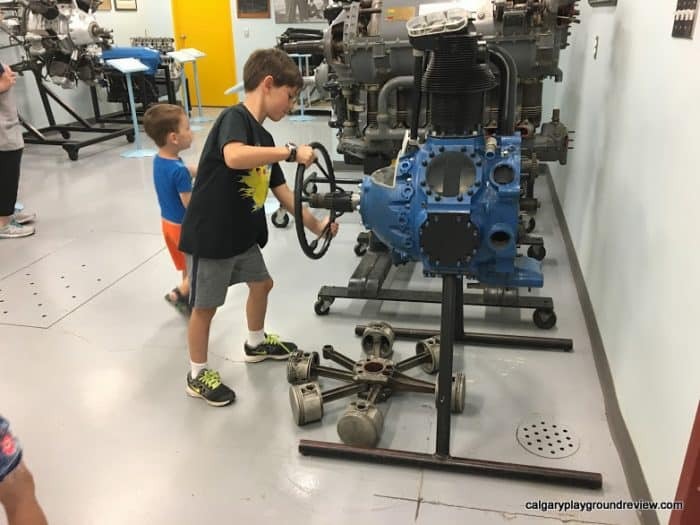 You can turn one of the engines to see how it works. 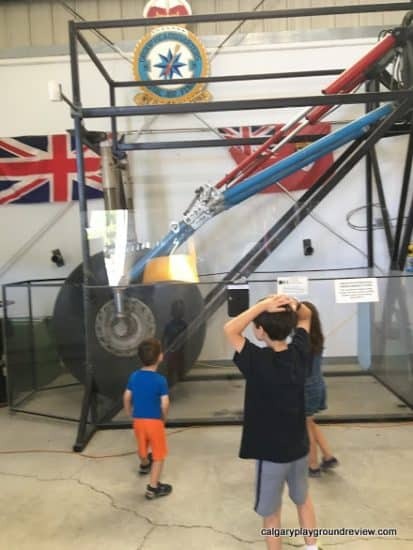 Another fun feature, for $1 you can watch the main landing gear off a Lancaster Bomber retract and then go back down. 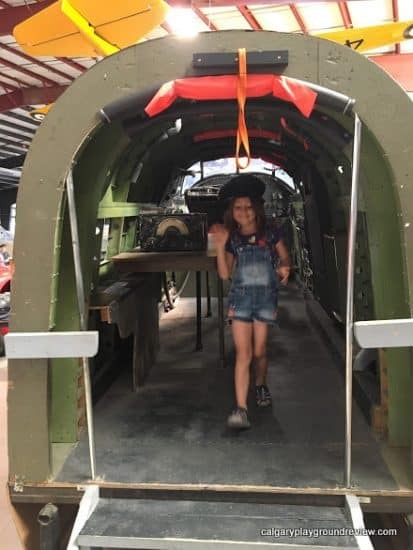 Probably the best part of the museum (at least according to my kids) was the Lancaster cockpit photo op. 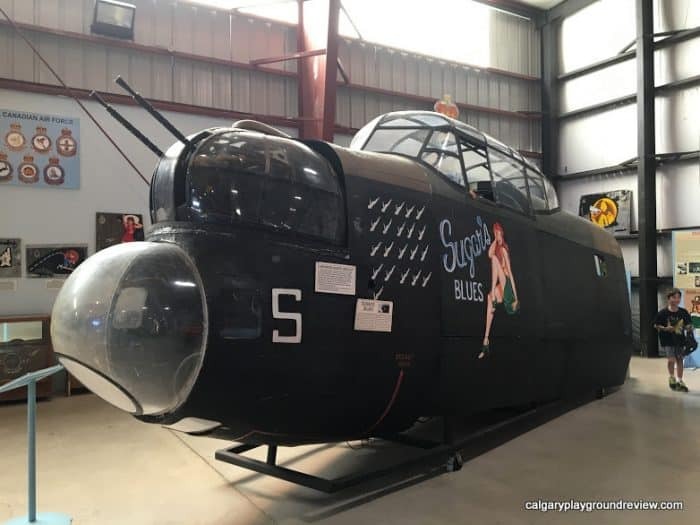 The cockpit was used in a movie (so most of the plane is not actually authentic) but it looks fantastic – and even has bullet holes. They had hats the kids could put on and then they could go inside and even peek out the window. This is a great place for a day trip even if it’s raining. If does happen to be a nice day, there is are picnic tables in the park nearby and a great playground.